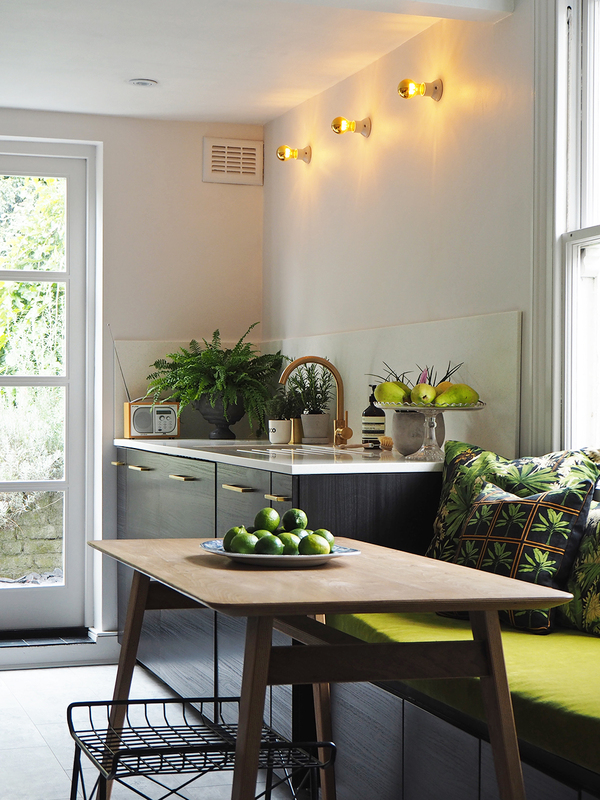 You may have already seen my new kitchen that was revealed the week before last as part of our Revamp Restyle Reveal project. I had a lot of help from some amazing sponsors to pull off the new high-end look (and in such a short space of time! ), and I also had a LOT of questions about my sink and tap! So today I'd like to introduce you to Olif. If you don't already know them, you probably should - especially if you're planning a new kitchen soon! 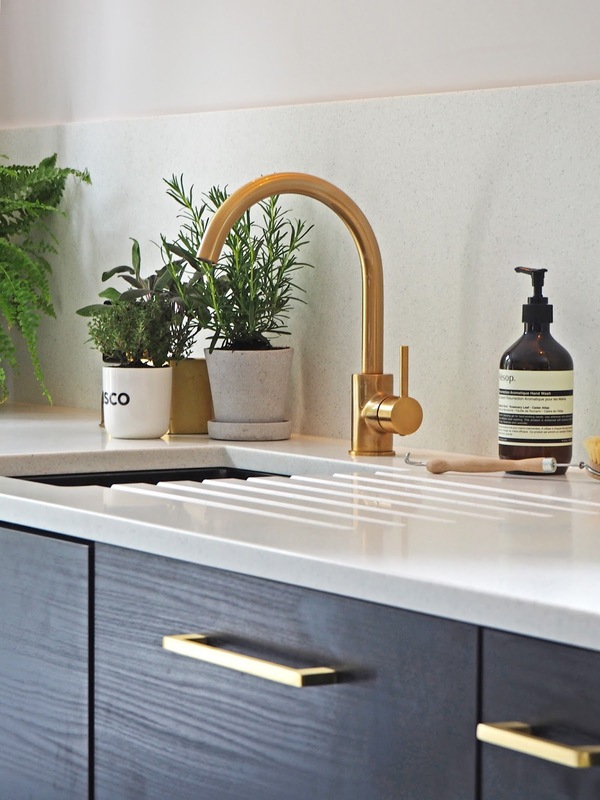 I came across Olif many moons ago, when I was searching high and low for gold coloured taps - something that's still as rare as hen's teeth in the UK, and then was green with envy, when my pal Kimberly from Swoon Worthy put a gold sink and tap in her kitchen last year . I'm pretty sure I sent her a message immediately, demanding to know if they were indeed from Olif. Needless to say, they were. 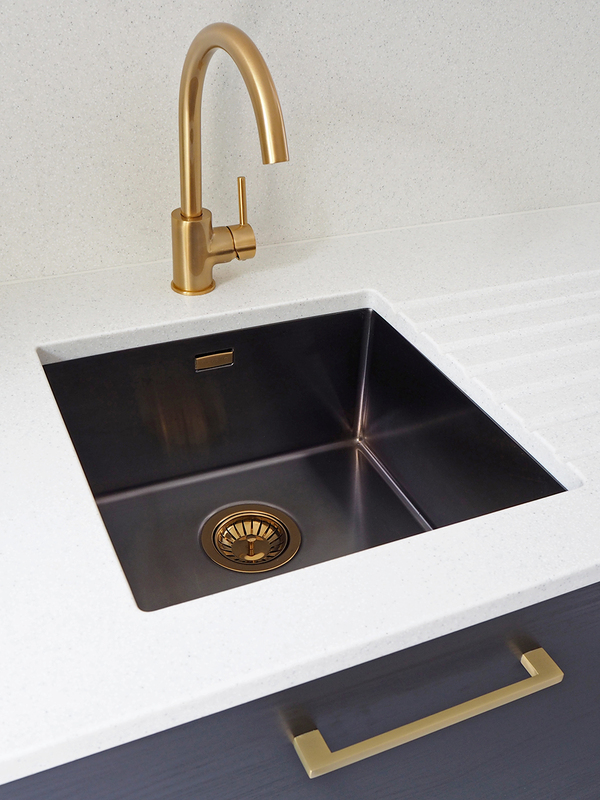 Olif are light years ahead of the game when it comes to sink and tap finishes and styles, and I was SO pleased to be able to include their Cascata Satin Bronze Mixer Tap, and Quadrix Anthracite Sink with Bronze Waste and Overflow in my kitchen refit. I mean, ridiculously pleased, in a gaze lovingly at them across the room kind of way. You're probably not surprised by that come to think of it. 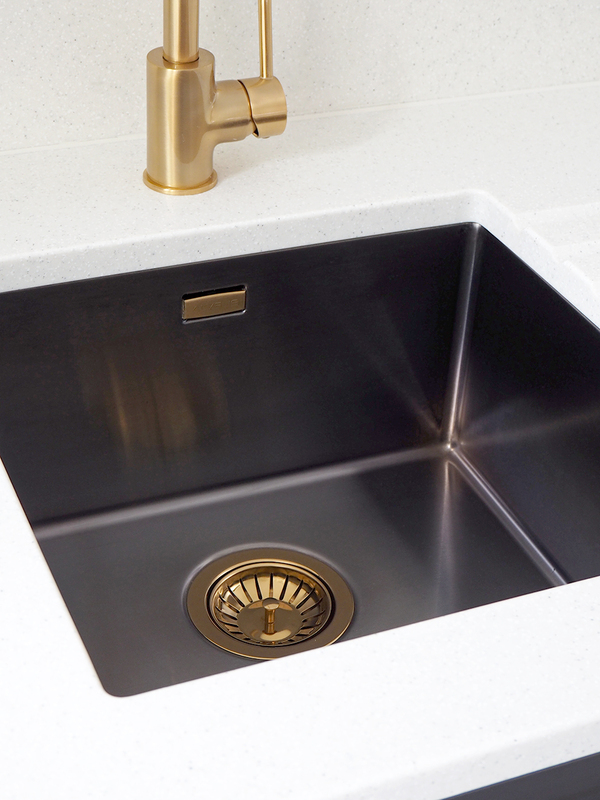 The Quadrix sinks can be under or over mounted, and have such a wonderfully contemporary shape, with rounded corners so that you can clean them easily. 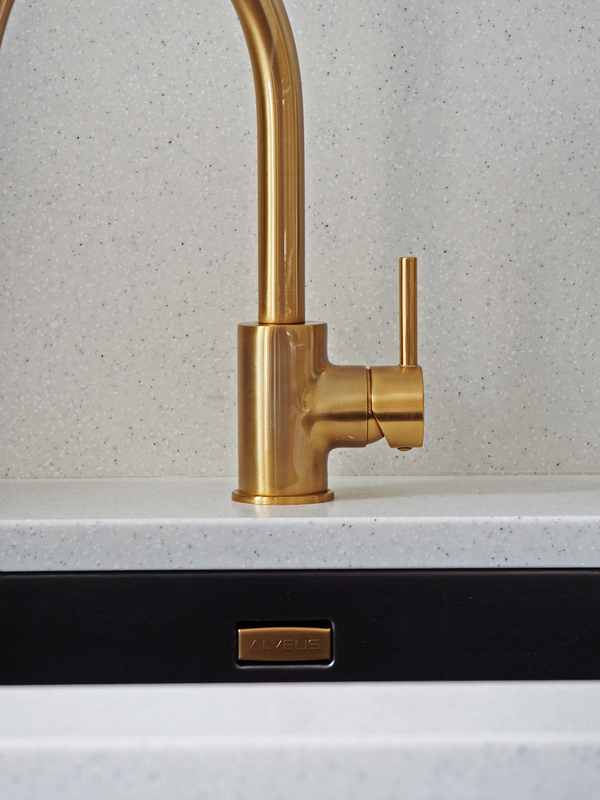 And oh how I love the simple yet beautiful curve of the Cascata mixer tap. I don't think I've ever followed the care instructions for anything so closely and studiously in my life - wanting to preserve their beauty for as long as possible, I have indeed been cleaning and drying them every night since they were plumbed in. And the reward is that they're gleaming and looking beautiful every morning. I've never felt that way about a sink and tap before, that's for sure, but I've started as I mean to go on! 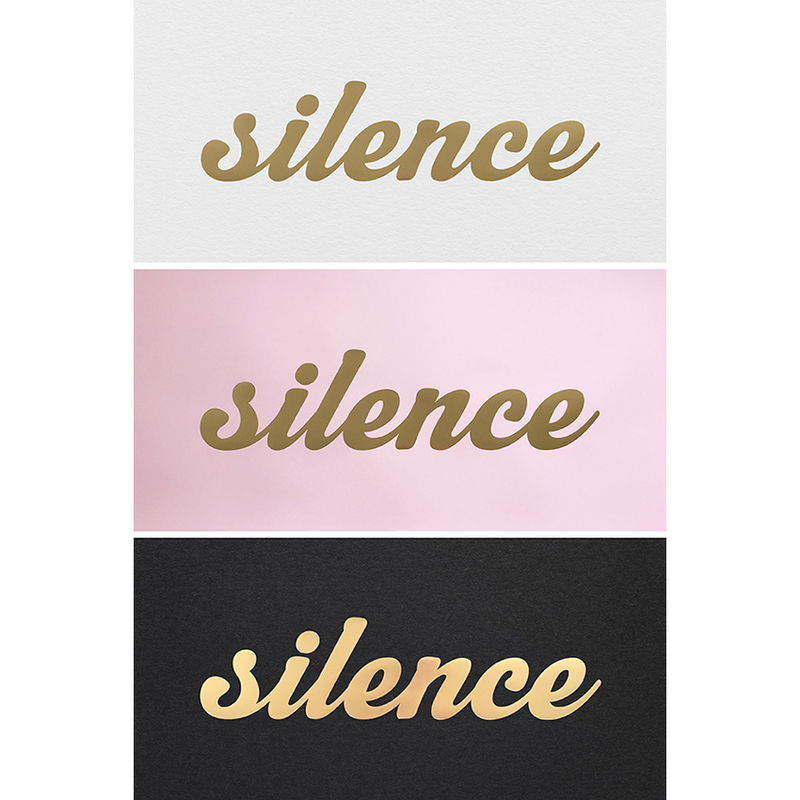 I've mixed metals a lot in the kitchen, which can be a contentious issue for those more OCD prone, and needing everything to match, but mixing metals is a GOOD thing in my book. It keeps things looking cool and laid-back in a perfectly imperfect way. I love the unexpected pop of gold in my Anthracite sink (and so does the man of the house FYI). 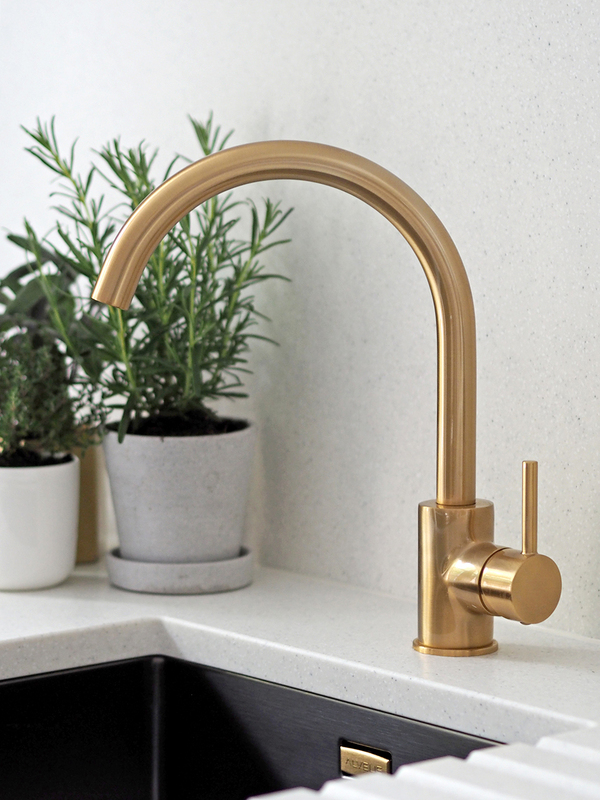 I've used satin brass handles on the units, that are actually a pretty good match for the tap and waste, a brushed brass and black metal light switch, black power sockets and extractor hood (which you're yet to see - watch this space! ), and the mix of these alongside the stainless steel range, chrome detailing on the extractor hood, and stainless steel handles on the fridge-freezer make me very happy. 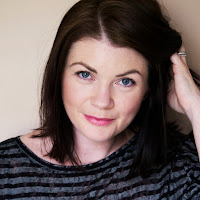 I remember when Emily Henderson did her kitchen in her old house (which I imagine 90% plus of you, my lovely readers will know well), that some people were up in arms about the fact that her appliance handles didn't match her brass cabinet handles. I think she was suitably bemused by this reaction, and frankly, if it's good enough for Ms Henderson, it's good enough for me. Mixed metals all the way! 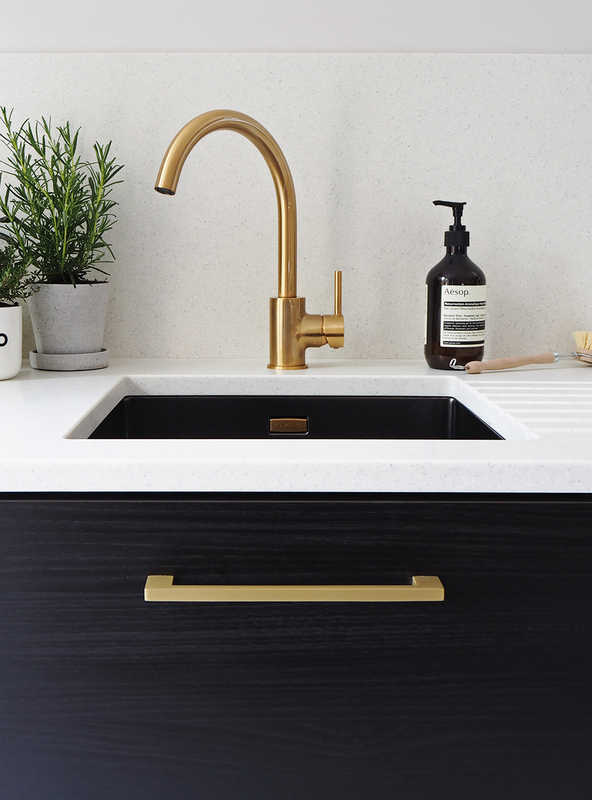 You'll find a gorgeous selection of taps from Olif, with a finishes including, rose gold, satin bronze, matt black, brushed brass and gold. And for the traditionalists there are some chrome options too. 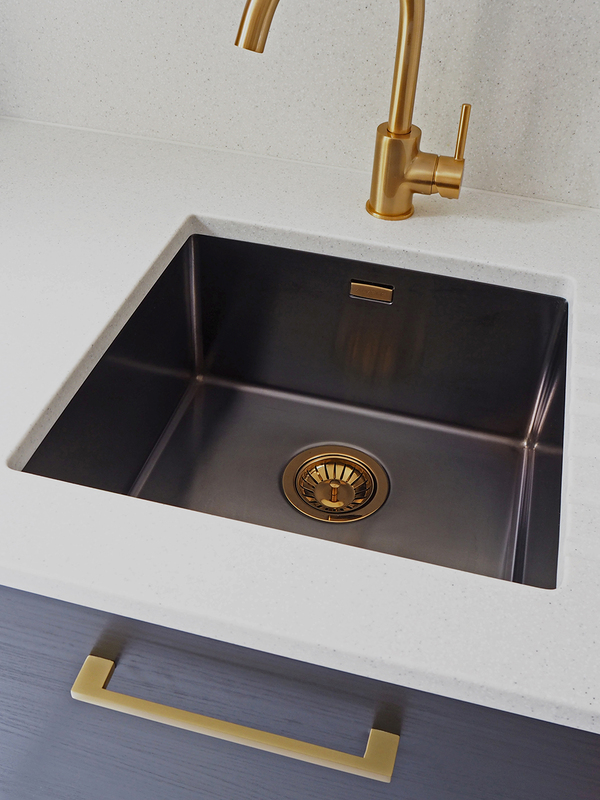 Sinks like mine come in gold, copper, bronze and anthracite, and to make it easy there's a new Mix & Match section where you can get your anthracite sink with either a bronze, copper or gold waste and overflow. Now go forth and mix those metals so you can gaze lovingly at your sink and tap from across the room like me! This post is in collaboration with Olif. Revamp Restyle Reveal: My Kitchen Reveal!